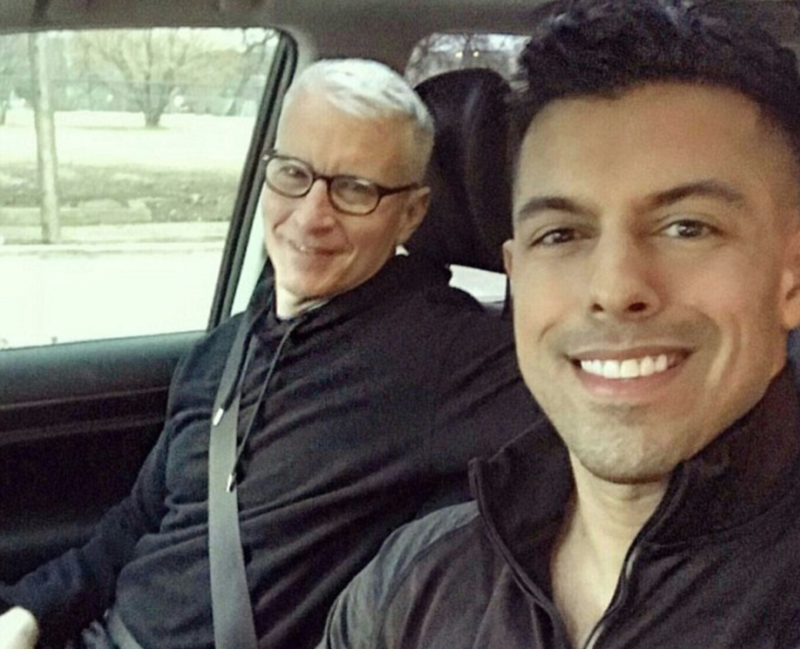 UK’s The Daily Mail is reporting that CNN silver fox Anderson Cooper has taken a new beau: Dallas radiologist Victor Lopez. The two have been spotted at local hotspots, including Mirador restaurant in downtown’s trendy Forty Five Ten department store, S4 nightclub and on Victor’s own private Instagram, as well as in New Orleans and Boston. The two seem to have been dating since at least December. Anderson’s been spotted here at least five weekends since then. We love that Anderson’s getting some big D in Big D.
The Daily Mail has more juicy details here.